Panda Cloud Cleaner is an advanced yet simple malware removal tool based on Collective Intelligence (scanning in-the-cloud) that detects malware that traditional security solutions cannot detect. Panda Cloud Cleaner is standalone on-demand disinfection tool that designed to run alongside other security tools without conflicts. 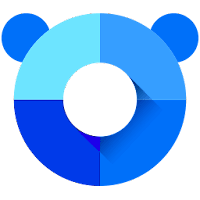 Disclaimer: Direct downloads for the lastest version of Panda Cloud Cleaner 1.1.10 are provided by the official software's author, we can't guarantee safety, availability or download speed. Moreover, we don't and we won't provide any pirated/illegal versions or tools. We recommend you to avoid it as these methods can harm your device. If you like the software, buy it to support the developers. (We provide software discounts for many worldwide brands).